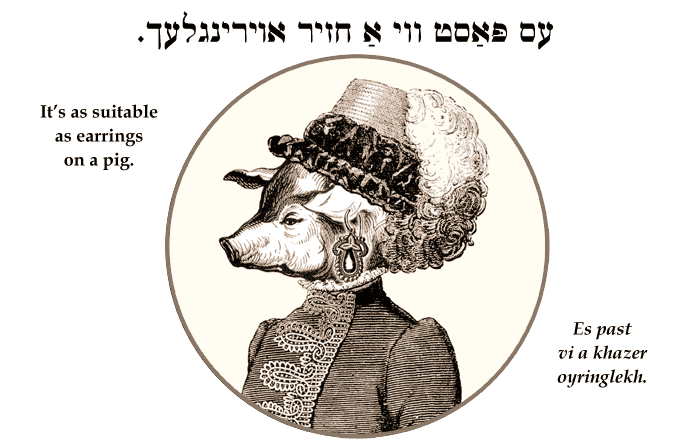 Yiddish Wit: It's as suitable as earrings on a pig. עס פּאַסט ווי אַ חזיר אוירינגלעך. Es past vi a khazer oyringlekh. It's as suitable as earrings on a pig.